The two soldiers, a squad commander and a member of a squad, opened fire in 2013, at 16-year-old Samir Awad, in the vicinity of the Apartheid Wall near the village of Badras, in the outskirts of the West Bank city of Ramallah. Awad had been taking part in peaceful protests against the wall, at the time. He crossed the fence but when he saw Israeli soldiers he fled and was trapped between the first and second fence. 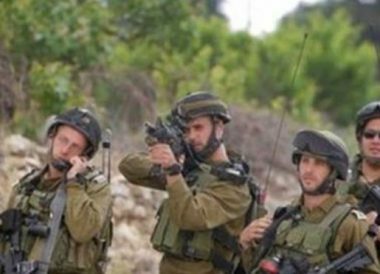 According to the indictment against the two soldiers, as Awad fled, the commander fired three bullets and the soldiers fired two bullets. The boy was wounded and taken to a Palestinian hospital in Ramallah, where he was pronounced dead. However, it was not clear whose bullets killed him. Days of Palestine further reports that the soldiers were indicted on charges of recklessness and negligence, which has a maximum penalty of three years. However, the charges were not proven in court. Israeli rights group B’Tselem carried out an investigation into the incident and proved that the boy was shot by the soldiers, in spite of the fact he did not pose any danger to them, noting that they violated the regulations on the issue. The Israeli Public Prosecution is expected to make a decision prior to the next court hearing, as negotiations for a plea bargain are currently underway. The hearing is expected to take place on 26 March.